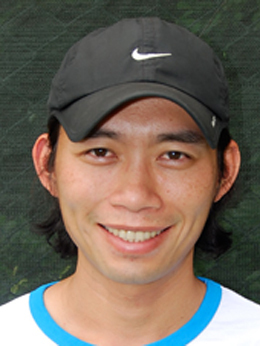 Mike Hon is an experienced tennis player and coach growing up in the sunny sky of Southern California since the age of 12. Although, he had started playing tennis since age 9, it was during his early years living in So. Cal where the saying goes, “he had got bitten by the tennis bug.” Since then, Mike had taken up the sport seriously and devoted all his available time in taking lessons and training. It was through hard work and dedication which led him to become the Most Valuable Player of the Canyon High School Tennis Team (1992 - 1996) where he had attended. Following high school, Mike attended Chapman University in Orange County, CA., from 1996 - 2000 where he received his B.S. in Business Adm. Apart from his schoolwork, he continued to play and made it into Chapman men’s tennis team where he competed in the Division 3 intercollegiate tennis tournament level. Throughout his college tennis years he once again proved to be a valuable player for his team by playing in every team match during his four years at the university. Mike became a certified USPTA teaching professional in 2006. 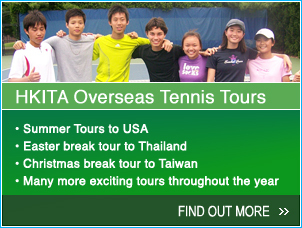 In addition, Mike enjoys working with children and he look forward to developing young talents in Hong Kong.